On October 30, three self-appointed members of the Westhampton Free Library Board of Trustees resigned [“Levan Bolts From Board,” November 5]. The residents/taxpayers at that meeting had come to call for the resignation of the board president, Joan Levan, to demand library reform to expand the membership of the library association so that the board would be elected by the taxpayers, and to insist that meetings be held in the evenings, allowing more of the public to attend. Hopefully, the rest of the board members will not choose this same position. The continued struggle for the right to vote has existed in this country for more than 239 years, commencing in 1776 with the signing of the Declaration of Independence. Throughout American history there have been obstructionists to voting rights who have fought strenuously and violently to prevent a varied and diverse list of individuals and groups from having the right to vote. Were it not for the brave, consistent and inspiring efforts of those who fought for our right to vote, our model of democracy would be substantially different from what it is today. 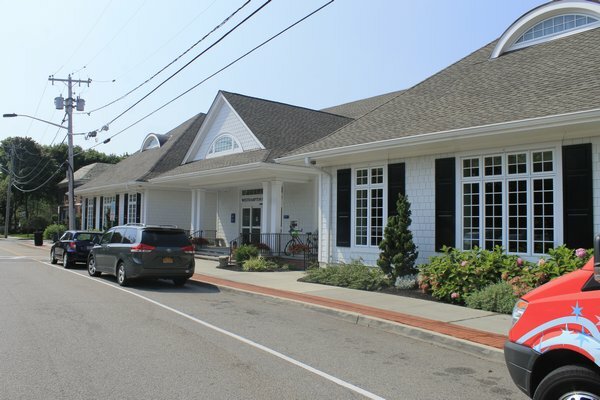 The struggle may have to continue here if the same type of obstructionist mindset prevails with the newest members of the Westhampton Free Library Board, by continuing to deny residents and taxpayers the right to elect board members. This would underscore the trustees’ archaic thinking, as they cling to a position that is contrary to the present guidelines set forth by the New York State Department of Education, which oversees all libraries in the state. Clearly, the Department of Education favors allowing eligible voters to join the membership of their library association so that those members can elect library trustees. The Westhampton Free Library is currently at variance with guidelines that are the norms of the times. Moreover, Suffolk County presently has 19 association libraries that are similar to the Westhampton Free Library. Out of those 19 libraries, 13 have elected boards, and only six have appointed boards. Accordingly, 68 percent of the association libraries in Suffolk County have elected boards, while only 32 percent still have appointed boards. Voting gives the ability and authority to the people to directly voice their opinions about library governance and gives rise to a level of accountability, which will benefit the library and its supporting taxpayers. Some appointed board members feel that they are the repositories of ultimate wisdom as to what the library needs. However, this is hardly the case. As evidenced by the recent exodus of trustees, no individual on the board is indispensable. An individual so inclined to become a candidate for the Board of Trustees would be more motivated to become an effective member and to act in the best interests of the library, as opposed to being a mere rubber-stamp placeholder. The fact that $2.9 million is paid by taxpayers and residents annually to operate the library makes clear that they should be afforded the right to be heard in a meaningful way. The best way to do this is by welcoming taxpayers and residents as members of the Westhampton Free Library association, giving them the right to vote. If this board were to change the method of the selection of trustees in the Westhampton Free Library, this change would be a lasting legacy to the present board. In allowing free elections, generations to come will benefit from the forward-thinking and leadership that the Board of Trustees will have demonstrated. I disagree with Mr. Moore—we should not be looking back at the past 100 years of the Westhampton Free Library, but forward to the next 100 years. Hermon J. Bishop is an attorney and a lifelong resident of the Village of Westhampton Beach. He served as a trustee on the Westhampton Free Library in the late 1970s, leaving only to continue his education—Ed.